A woman has died after her car was involved in a collision with a lorry in Birdingbury this morning (Monday). The crash happened at about 9.15am at the Calias Lane and A426 junction near to The Boat Inn. A spokesperson for the West Midlands Ambulance Service said: “On arrival, ambulance staff found a woman in a car that had suffered significant damage. “Crews carried out advanced life support but sadly, it wasn’t possible to save her and she was confirmed dead at the scene. “The lorry had front offside damage. The driver, a 26-year-old man, was assessed by ambulance staff. He was understandably shaken but otherwise uninjured and was discharged at the scene." Two ambulances, a paramedic officer and the Warwickshire and Northamptonshire Air Ambulance were sent. 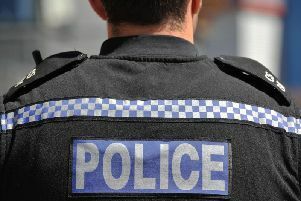 The A426 Rugby Road was closed in both directions between Calias Lane and Napton Road, but was reopened by Warwickshire Police at around 1.45pm.